Welcome to April – and no fooling! With the Easter holiday landing today, we thought our new calendar would make you smile all month long. 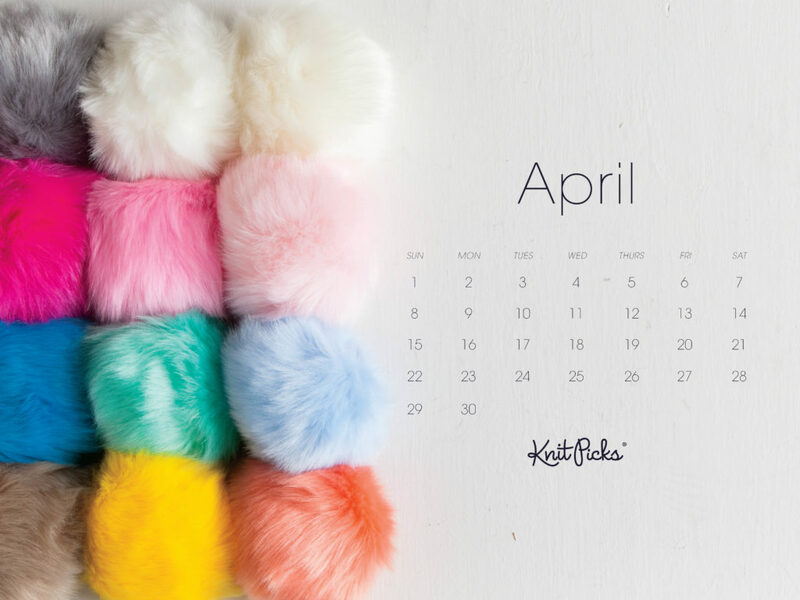 Our brand new Pom Poms reminded us of cute little bunny tails (they’re so fluffy!) and we just love the range of colors. We thought this would be a sweet image to remind us of the first full month of Spring all April long. To get the April 2018 calendar background of your choosing (smart phones, tablets or desktop computers), simply click the applicable device icon below. Enjoy! I love these every month. Thank you! Thanks for sharing these every month. I always put them on my laptop!